These days you can’t be too careful with your computer security setup. With more and more of our daily transactions happening online, it’s very important to ensure that your computer is protected from the wide array of threats that are circulating on the internet. 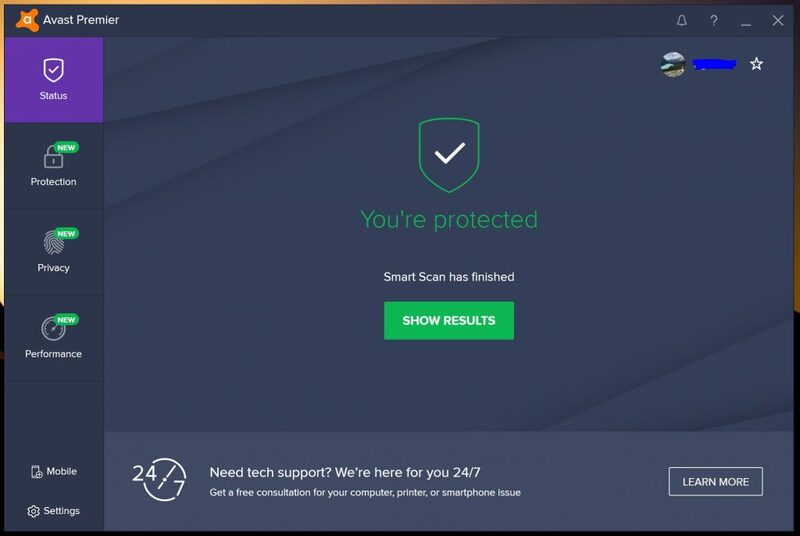 In this Avast Internet Security review we cover one of the more popular software programs designed to protect your computer. We get a lot of emails from people asking whether or not this software is worth the cost, so we figured an in-depth review was in order. I want to lead with my overall impressions of Avast Internet Security for those who don’t want to read a long article – then you can drill down and read about all the features in the rest of the review below if you so desire. Overall I wasn’t expecting to be thrilled with Avast Internet Security due to a botched installation when I first installed the software, but my opinion drastically changed once I reinstalled it and found it was working swimmingly. I actually had more fun than I usually do when reviewing these security software suites because Avast is easy to use, intuitive, and has quite a few bells and whistles that you won’t find in other security solutions. I also found their whimsical online and in-program help documentation to be refreshing. Avast’s support was responsive and helpful when I had an issue connecting my online account with my software, and the help and documentation on the website is very well laid out and clear. I highly recommend this software as a virus and malware solution. There’s a lot of debate on the internet over which security suite is better, however Avast continues to be highly recommended by many computer professionals. No software will be 100% perfect, so if Avast has the features that you want it’s a great lightweight solution for protecting your data. Avast was a quick download and install on my Microsoft Surface Pro 4 running Windows 10. The installation was a touch slower than other security apps I’ve used, but that could be due to a slightly slower speed of internet as I was working remotely at the time. After installation I ran the Smart Scan, and the program finished in about 6-7 minutes. The results were interesting as the software scans more than just for malware and viruses. It also found three software programs that needed updates (and allowed me to update them right from the dashboard), and pointed out that the coffee shop’s WiFi password was weak. The scan is pretty typical of most security software suites. You can customize the scan in the settings to scan for only the things you want it to – for example, you can disable scanning for software updates if you so desire. It’s important to know if your antimalware and antivirus software tools are up to snuff. The good news is that Avast consistently gets top scores in the AV Comparatives monthly score tallies. AV Comparatives is an independent group that tests the top computer security software tools. Firewall – your standard firewall protecting your computer from outside influences. Anti-Spam – a full featured suite to keep spam and phishing emails at bay. Works with desktop mail software. Real Site – active DNS hijacking protection so you don’t get sent to fake sites. Intelligent Antivirus – Uses smart analytics and Avast’s network of hundreds of thousands of users to detect and stop malware, spyware, viruses, and phishing. CyberCapture – Pushes suspicious files to analysis in the cloud – if it is found to be a threat the definitions and protection are extended to all Avast users. Behavior Shield – Protects you from zero-day threats (new and previously unknown threats) using advanced behavior monitoring. Smart Scan – Finds security cracks that could allow threats onto your system. Sandbox – Allows you to run suspicious software and open files in a protected sandbox in case of malicious activity. Browser Cleanup – Get rid of toolbars, add ons, and extensions. Game Mode and Passive Mode – enables you to hush Avast while playing games or use other antiviurs software in passive mode. Avast Internet Security and all of the other software tools in their library of programs are very intuitive and easy to use. Each setting has a large icon-centric button, and each feature has a small “i” that you can click that explains the feature’s functionality and uses. This is helpful because even the basic Internet Security program comes with a lot of bells and whistles to play with. Most computer users will find using Avast to be easy to use and almost fun – in fact it’s the most fun security suite I’ve tested. I can’t quite put my finger on why, I think it’s the simplicity and intuitive way everything is laid out. Avast notified me that I had 13 passwords stored in my internet browser, and it asked me to start using Avast Passwords, a password keeping system. I actually use LastPass for that right now, but it seems like a good option for someone who doesn’t have a password solution yet. For those who don’t know, these password solutions are a great way to enable yourself to use unique and difficult passwords for all of your sites so you don’t get caught with your pants down by using the same password for all your sites (something I used to do and I had a minor panic attack when someone hacked my Facebook account and got that password and my email). Avast Passwords also has a cool feature called “Secure Notes” where you can safely store small secure things. Need a place to store your security key for your 2 Factor Authentication app? This could be a good place, instead of a notepad file somewhere on your computer or even writing it down on a paper that could get lost. Let’s face it, every once in a while we need to keep a secure number on hand. After taking my Surface Pro to the coffee shop to do some additional work and continue testing Avast, the software popped up notifying me that I had connected to a new WiFi network. It then gave me the option to scan the network, which scanned the router, and all the devices connected to it – meaning ALL the various laptops and phones that were on the network. I don’t suspect this coffee shop to be a hotbed of hacker activity, so it was not surprising to find that all the devices came up clean. This feature is useful for detecting problematic devices that might be on a public network scanning it for activity. I’m not usually that paranoid but you can never be too careful. This is useful, however, if you want to do some banking or personal transactions on a public network and want to scan it before using it. Avast Internet Security has quite a thorough settings menu, where you can tinker with excluded software, customize the Smart Scan, and do so much more. There is really too much to list for this basic review of the software – but suffice it to say that if there’s something you want to turn on or off or customize, there’s a 90% chance you’ll be able to do it within the settings. You can even customize the scan parameters in the virus scan portion of the Smart Scan. Most computer users probably won’t touch this or need to stray from the default settings, but advanced users will be thrilled with this. Avast is available for PC, Mac, Android, iPhones and iPads, and even networked “smart devices” in your home. That makes Avast one of the most compatible software programs out there – it covers most devices while many companies stop at just PC and Mac. Each of these devices needs its own separate version of Avast, however, so unfortunately you can’t just buy it once to cover all of your devices. However, you’ll only need to deal with and learn how to use one program if you want to get Avast security on all devices – which is a time saver. Not many people want to learn how to use a bunch of different security software solutions. Avast Internet Security has two higher levels to choose from that will get you a few more bells and whistles. I recommend all the levels, as I think all their tools are useful. However, just ensure that you need the additional tools they offer and you don’t already have something similar. Check this link for Avast’s comparison web page. We used Ultimate for this review so we could be sure to test all the features and be able to write them up. 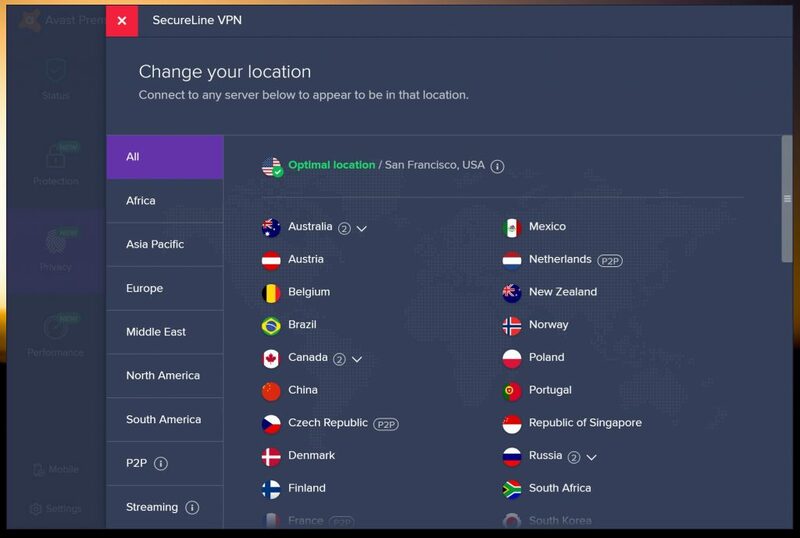 I will say that the SecureLine VPN service works very well and it’s worth the price. SecureLine VPN is available as a standalone product as well. No matter what level you are interested in, Avast’s line of security software comes highly recommended from me. I had a lot of fun reviewing this software and found it to be refreshing from the rest of the security software that’s out there. No program will always protect you 100%, but picking one of the top line programs will give you the best shot at staying safe on the net, and Avast is up to that challenge.